Well Metal Gear Solid V is looking more and more like an episode of ’24’, even before considering Kiefer is the new voice. 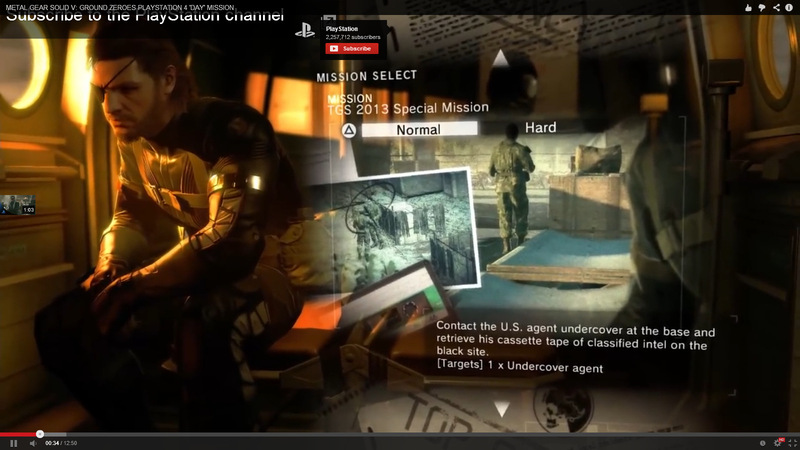 In the video, which you can watch here, “Snake” has to infiltrate a base and steal some information and look blander than ever while doing it. Is it just me, or is there a certain eclectic-ness that has always made this series great? Despite this still being a Hideo Kojima game, it appears to be more modern than ever. What I really respected about MGS4 is how it retained certain silly aspects even in the midst of such modern capabilities, like Snake’s funky run animation, and of course his amazing voice acting by David Hayter – maybe the most iconic videogame voice aside from Mario. 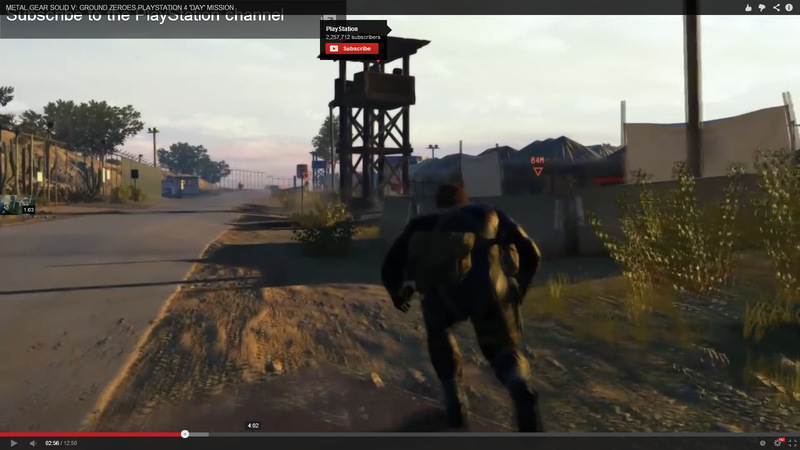 Now, according to this gameplay video, Snake has a much more realistic run and more realistic movements in general. 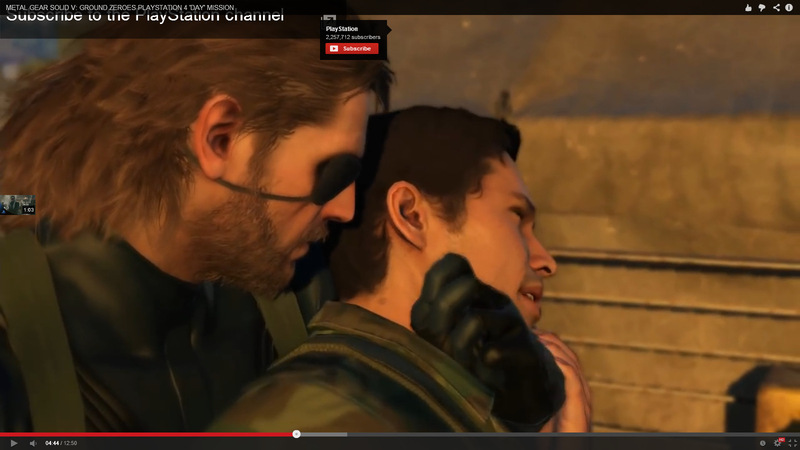 In fact, everything about the game appears to be somewhat more realistic, including Snake’s voice. He only speaks once in the vid, but it really caught me off guard, because I’m used to the campy sneering quality of his previous sound. Doesn’t Hideo think his fans are going to miss Hayter? I mean whether you really liked his voice or not, he’s been with the franchise for a decade, and it’s obviously going to seem wrong for Snake to sound any different. Maybe everybody was just tired of him… I don’t know. But back to the gameplay. So it’s basically all the tactical espionage action that we are used to, but with a lot more Call of Duty and Far Cry mixed in. I suppose if you want to cater to masses, that’s how you do it.I just hope the game makes up for that at some point in the story. I also hope the environments aren’t all as dull as the one in the vid. Environments in the franchise have never been amazing, but going from Snake Eater to Guns of the Patriots, I noticed they were going downhill a bit, and it looks as though that trend will continue and have snake sneaking around large crates, oil tanks, big hunks of rock, and bland building facades. If the level design was even as good as MGS3’s I’d be happy. I couldn’t help but feel there is something phony about this video. I’m skeptical to think the commentator just picked up the finished product and start playing. I think there was a lot more planning here than was led on. He seems to have an answer for every supposedly unforeseeable consequence. That moment where he blows up the APC and it flies over the cliff was so incredibly cinematic and he just brushed it off like it was no big deal. That seemed a bit suspicious, but the biggest thing was the ending. 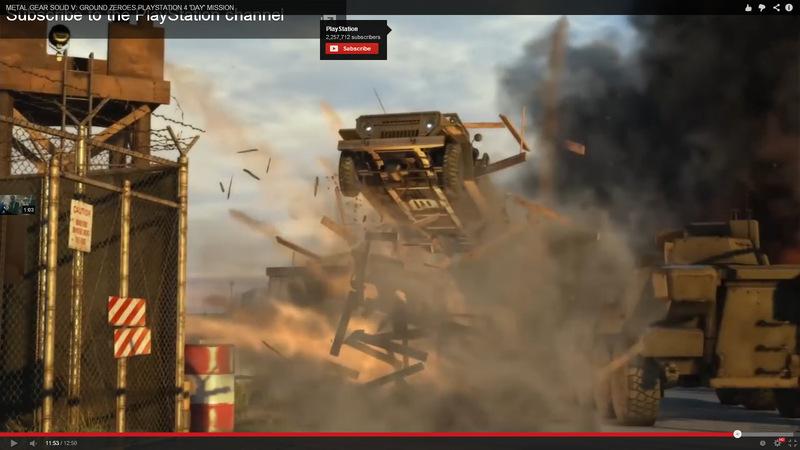 He was supposed to leave by helicopter, but ended up storming out in a blaze of fire on a Jeep, and right at the end when he is about to slam into a barracade it cuts to a cinematic of him flying over top of them. Are we suppose to believe that the game has all these cinematics prepared in case your situation aligns perfectly with certain placements of vehicles and whatnot?? I just don’t get how this could be such a sandbox/freely-moving game when something like that happens. Maybe Konami made the little climactic cinematic in post production of the making of this gameplay vid. I don’t know. But I’m very skeptical about everything in this. Watch the vid, if you haven’t already, and let me know what you think. Are you a MGS fan? If so, what’s your opinion on the way the game seems to be changing? Is it for the better or worse? I’ve already given my opinion, but I’m very open to other ideas, so drop a comment. I would appreciate it.